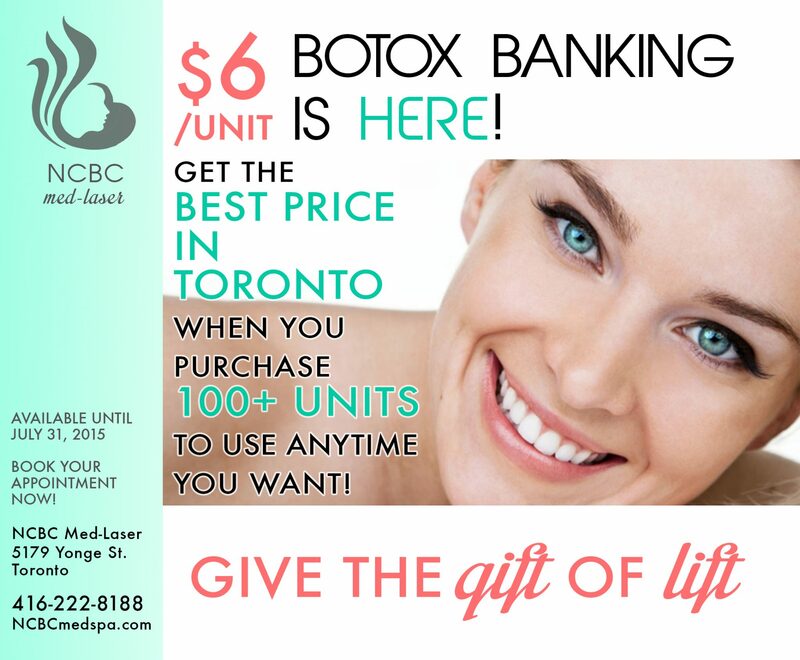 NCBC Med-Laser | Skin Rejuvenation Clinic in Toronto | $6/UNIT BOTOX BANKING IS HERE! $6/UNIT BOTOX BANKING IS HERE! When you purchase and bank 100+ units of Botox, we’ll keep them on your file so that you can use them anytime you want– or give the gift of lift to a special someone! Lock in our spectacular $6/unit price while it’s still available!